Now before I start I want to make one thing clear. I do not hate either the 9th or the 10th Doctors. Indeed I love the entire Russell T Davies era, and David Tennant and Christopher Eccelston where every bit as good in the role of the Doctor as any of their predecessors or successors. However I feel that overall the 11th and 12th incarnations of the Doctor have been better realized than either the 9th or the 10th Doctors because of how they were written and more importantly because the actors playing them were given considerably more freedom in the role. I’d say that the first four Doctors and 11 and 12 are the best realized Doctors. 5, 6, 7 and 9 and 10 meanwhile all suffer from similar problems which I will explore in this article. Of course I don’t expect everyone to agree with me on this as 9 and 10 are both deservedly very popular. However this is what I feel was wrong with these two incarnations of the Doctor despite their many great qualities which obviously overshadow the negative ones. Now when Russell T Davies brought Doctor Who back to our screens in 2005 American sci fi and fantasy had pretty much cornered the market. Russell even says so in the leaflet for the 2005 series box set. 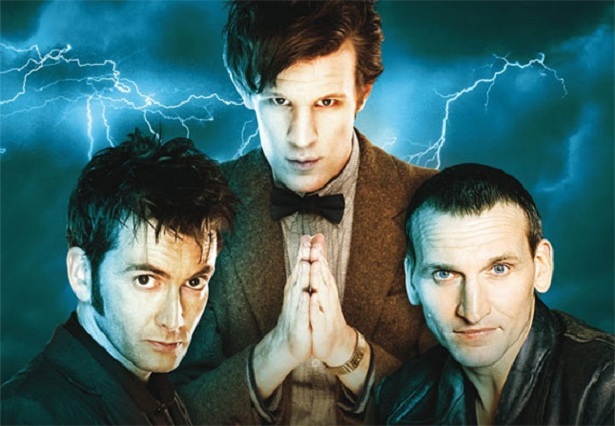 Thus Russell decided to make the new Doctor Who more like these American series in order for it catch on. You can see a lot of series like Buffy the Vampire Slayer, Xena the Warrior Princess and even Smallville in Russell’s era of Doctor Who. It should be noted that Russell T Davies was also a huge fan of these series anyway. Russell T Davies on Joss Whedon and Buffy’s influence on his career. I don’t mind Russell taking inspiration from these series. Its no worse than Hinchcliff taking inspiration from old Hammer movies. However I think Russell went a bit too far in taking inspiration from these series in that he actually made the Doctor a bit too similar to heroes like Angel and Xena. Barry Letts for instance made the third Doctor a bit of a pastiche of heroes like James Bond and Jason King. However he didn’t go too far. The third Doctor still seemed like the Doctor. He didn’t go around seducing all of his female companions like Bond or shooting people all the time (the Ogron in Day of the Daleks whom he gunned down aside of course). Sadly however like I said Russell I feel just simply went too far in making the Doctor like heroes such as Xena and Angel. Xena, Angel and The Ninth Doctor are all characters who have done horrible things in the past and are now in some ways trying to make up for them. All are conflicted, dark, moody, angsty heroes who end up falling in love with a little blonde, inappropriately young teenager, Buffy, Gabrielle and Rose who holds back their dark side and makes them into better people. This story arc of course continues on into the Tenth Doctors era. The ending of Journeys End where we see the Doctor tell Rose that she made him a better man is total Xena/Gabrielle Buffy/Angel crap. 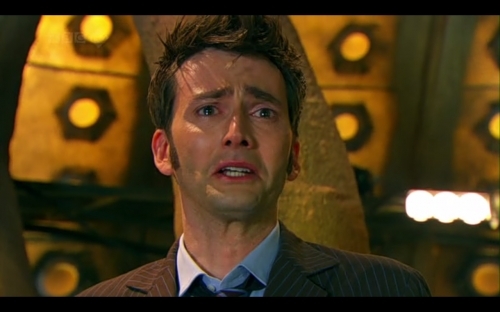 As is the ending of Doomsday where we see Rose and the Doctor trapped in different universe. Its not to dissimilar to Buffy and Angel being trapped in different universes at the end of Buffy’s second season finale. The 11th and the 12th Doctors meanwhile I felt where closer to the Doctors from the classic era. 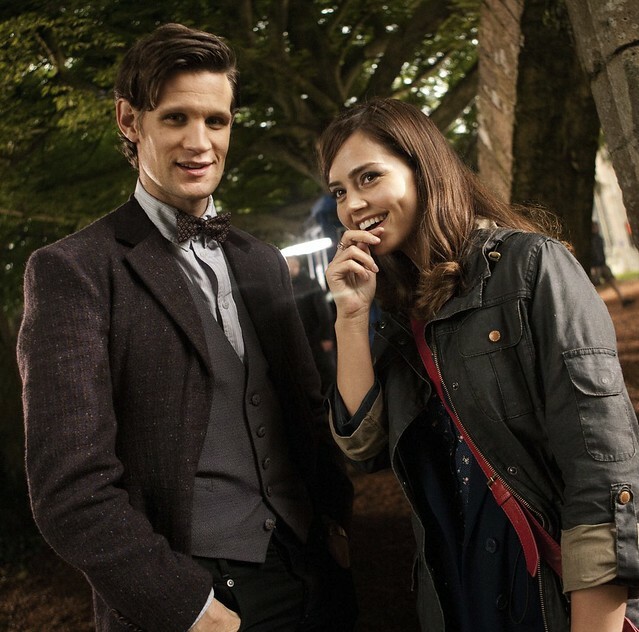 Whilst there were moments where 11 was written out of character such as his constant flirting, by and large he seemed more alien and unconventional than either 9 and 10. 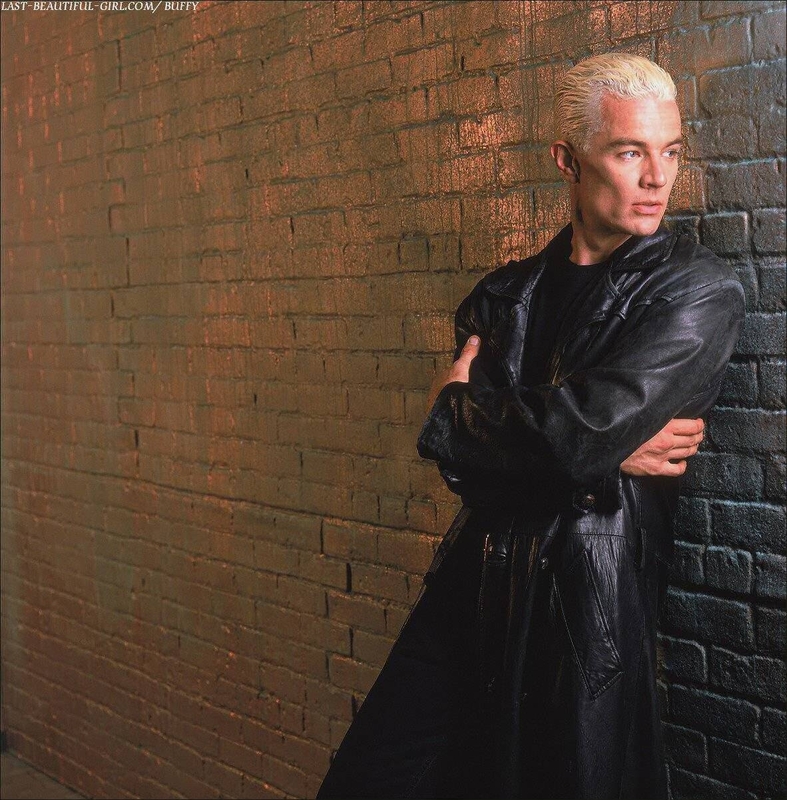 You certainly couldn’t say he was an angsty 90’s anti hero like Angel or Xena. Even the romance they gave him with River was more unconventional. 10 and Rose’s romance is very Buffy and Angel or even god forbid Bella and Edward. Obviously its better written and acted than Bella and Edward, but it is along the same lines. An ancient immortal with a dark nature falls in love with a teenage girl and their relationship has bad consequences for both, whilst at the same time she helps to temper his bad side. That description fits more or less Buffy and Angel, Bella and Edward, Xena and Gabrielle and The Doctor and Rose. Thus 11 and 12 I felt were superior as unlike 9 and 10 they were the Doctor. They didn’t feel like the Doctor doing an impression of other characters. Now you might think that all of the other Doctors are different so what does it matter. However whilst all of the Doctors are different I think there are certain qualities that help link them all together. Sadly 9 and 10 I feel are just too different because they are actually modelled on other characters. Again you might say all of the Doctors costumes and appearances were different anyway. However again I would say that whilst they are all unique all of the Doctors costumes and appearances all have similar qualities to them that help link them all together. All of their costumes have a certain Victorian and Edwardian feel to them, or are at the very least old fashioned. They are all somewhat over the top and completely unconventional too. Also the Doctor I feel should have somewhat longer or at the very least bigger hair. That’s one of the more unusual things about his look. He takes so much care about his clothes but he often just lets his hair grow out. The 1st Doctor, 5th Doctor, 6th Doctor, 7th Doctor and 8th Doctors all had long flowing hair, whilst the 4th and 3 Doctors had a big mop of curly hair. Even the second Doctor had big unmanagable hair. Now as you can see the 9th and the 10th Doctors don’t look like the Doctor at all. I mean they really don’t. The 9th Doctor has an ordinary leather jacket, the Tenth Doctor wears sand shoes. And look at their hair! The 9th Doctors is shaved whilst Ten’s is gelled up like Jedward. They just don’t look like the Doctors. They stand out like sore thumbs when you put all of the Doctors together. The ninth Doctors costume I think is very like Angel or Spike from Buffy the Vampire Slayer, which again fits in with the Buffy influence. The Tenth Doctors costume meanwhile I think looks more like one of the guys from the dickhead song video on youtube here. I think both cases represent Russell T Davies trying to make the Doctor modern and trendy. Hence why he makes the ninth Doctor look like Spike and the Tenth Doctor look like in Colin Bakers own words “someone Kate Moss would date”. The 11th and the 12th Doctors meanwhile are dressed much more like the older Doctors. 11’s costume is much more old fashioned, unconventional and is a bit Holmesian. I think I preferred his second costume the most. 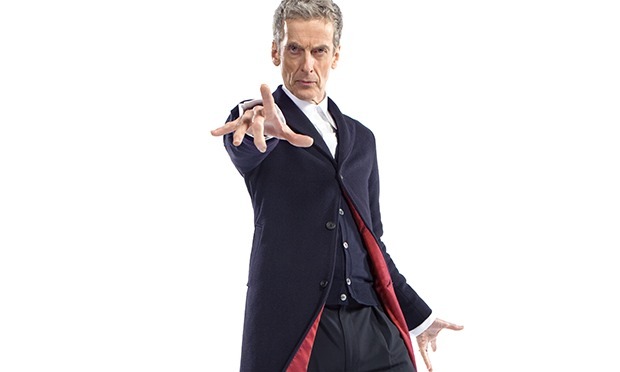 12’s costume meanwhile also is I feel more old fashioned and though it is toned down, its still a bit Byronesque. Also even their hair is more Doctorish. 11 has the quiff and whilst 12’s is short its not shaved or gelled up like one of the dickheads. 11 and 12 despite 11’s youthful appearance both just look like the Doctor. They don’t stand out from the others the way 9 and 10 do. Now this is a bit of a problem I have with the Russell T Davies era is that the Doctor is too weak in it. I am not saying that the companion should be a damsel in distress. Far from it, but the Doctor is the central character and therefore should not be a passenger in his own series. 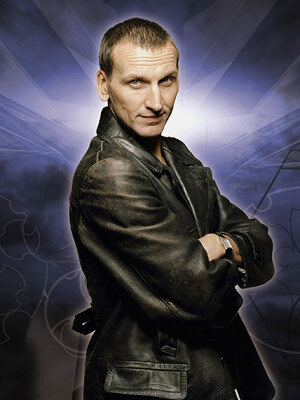 The ninth Doctor saves the day twice in his only series. The tenth Doctor meanwhile starts out with a much better record, but as time goes on he does become a bit more ineffective. The worst is in Journey’s End where Donna gets his powers and uses them much better than he does and even tells him he is useless compared to her! In contrast the 11th Doctor is a much more useful Doctor all around. He only fails to save the day in two stories of his first season and his second season. However in his third year he does get pushed to the side I will admit a bit too much in favor of Clara such as in The Name of the Doctor. I also feel the 12th Doctor has been pushed to the side a bit too much such as in Death in Heaven where he does literally nothing! 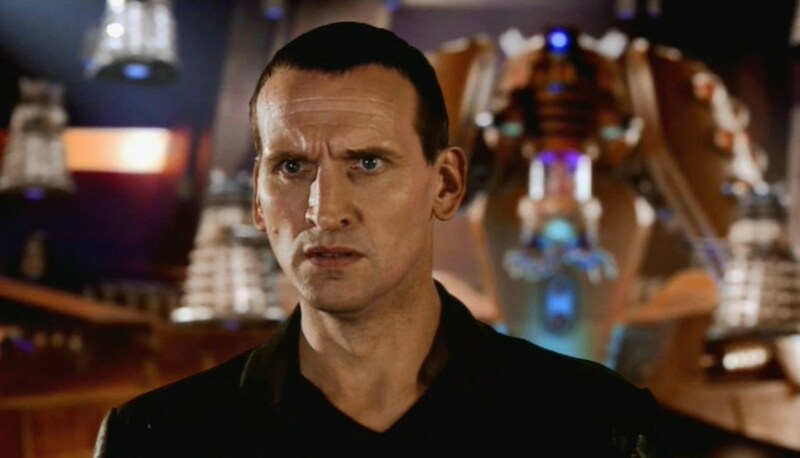 Still I think sadly 9 has to take the prize for the most inept Doctor of them all. In fact not only does he fail to save people a lot of the time, but he actually makes things worse. Like look at The Unquiet Dead 9 does nothing but get a young woman killed! Now this is a problem I have with these two Doctors is that they didn’t seem alien enough. The Doctor is supposed to be an alien remember. In the classic era as different as the many Doctors were they all seemed alien. You’d never see the Doctor express overt human emotion. He never broke down in tears, screamed hysterically or blew up. The only time you saw him react that way was in The Twin Dilemma when he was insane. Other than that the Doctor was never someone who you would expect to react like a human being. That’s not to say he showed no emotion whatsoever, but it was often understated. The 9th and the 10th Doctors meanwhile I feel always reacted like a human being would. We always saw 10 break down in tears, lose his temper, scream all over the place. 9 whilst not quite as human as 10 was still a bit too much of a conventional hero. Now 11 could be quite emotional too, such as his speech in The Rings of Akhatan or his break down over losing Amy and Rory. Again compare 11’s reaction to losing Amy and Rory and 10’s to losing Rose to 5’s reaction Adric’s death. However I still found 11 to be more convincing as an alien than either 9 and 10. Other than the odd emotional outburst 11 generally tended to react to things much like the 4th Doctor, in that he would often have an over the top reaction to something completely mundane, yet be quite cold to something important to us. In Lets Kill Hitler he gets excited when he is dying at the thought of Fish Fingers and Custard, whilst in The Girl Who Waited he ruthlessly left the older version of Amy to die. Thus 11 was a much more unpredictable character. 12 meanwhile is definitely the most alien and cold too. Like 11 he is also a very unpredictable character. Whilst I do not like Kill the Moon I do feel it offers quite an interesting insight into the Doctors character by showing him react to a situation in a completely different way to his human companion. In 12’s mind he does nothing wrong by leaving Clara to make her own decision. Ironically he thinks he wasn’t pandering to her, whilst Clara saw it the exact opposite way and felt he was treating her like a child. 11 and 12 are overall much more alien characters. Now this I think could be the most important factor in why I prefer these two Doctors. I think the Doctor is a role where the actor should be given more freedom. Thats why the first 4 Doctors are better realized than the last 3 for this very reason. I feel that the actors were allowed to really become the Doctors. The first Doctor is essentially William Hartnell. Director Waris Hussein even said this remarking that Hartnell often wasn’t acting when playing the first Doctor. Similarly the 4th Doctor is just Tom Baker. Hell if anything he is a restrained Tom Baker. Now obviously I am not saying that the actor should be allowed to take over the show. I think that happened a bit too much towards the end of Tom’s time. However the actor should have a lot of say so in how his character is portrayed. This was a problem with all 3 80’s Doctors. I don’t think any of them were given as much say in how their Doctors were portrayed. Colin for instance famously wasn’t allowed to pick his costume. Neither in fact were Sylvester McCoy or Peter Davison all of whom wished to have those annoying question marks removed. Now Eccelston and Tennant I feel were similarly not given as much freedom. Russell T Davies picked out both of their costumes and according to Eccelston virtually everything about the 9th Doctor was decided by Russell. Even 9’s use of the word Fantastic was apparently something Russell used to say all the time. Matt Smith and Peter Capaldi however were both given considerably more freedom. When you look at an interview of Matt Smith, whilst he’s not entirely like his Doctor obviously, you can tell there is more of him in the role. Also Matt and Peter were allowed to pick their own costumes too. The famous Bowtie came from Matt not Moffat. Thus whilst I think every actor in the role has been great 1, 2, 3, 4, 11 and 12 I think are the better realized on screen, In the Big Finish Audios I think Peter Davison, Colin Baker, Sylvester McCoy and Paul McGann are given the freedom that the first four actors were given and I hope one day Tennant and Eccelston will be too if Big Finish ever gets the rights to produce Big Finish audios based on the new series, though its doubtful Eccelston will ever return to the role. Hopefully you can see that 11 and 12 were closer to the original Doctors than 9 and 10 were. I think the person to thank for this is really Steven Moffat. 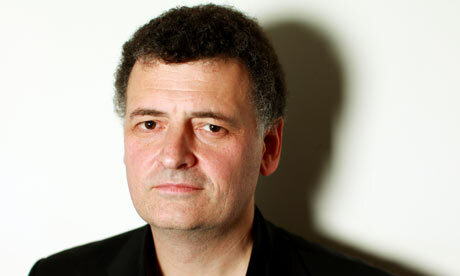 I think Moffat understands the character of the Doctor better than Russell T Davies. This is not to say that Russell is a bad Doctor Who writer, but I think that Moffat ultimately just gets what it is that makes the Doctor unique. He understands that the Doctor is alien, old fashioned, unpredictable, and best of all that the actor playing the role should really be allowed to throw himself into the part and thus he stood back when he had to. Interesting argument. I never watch Xena or Buffy, so I can’t really appreciate your first point. However, I do completely agree that the actors who got the most freedom generally portrayed more interesting Doctors. You mentioned that none of the classic Doctors screamed hysterically or blew up . . . I seem to remember quite a bit of this during Tom Baker’s years. And not just behind the scenes. I was impressed by your analysis of the Doctors’ costumes–I had totally missed 9 and 10 not being like the others. And the hair, too! Good eye. I really should have caught that. I guess I just wasn’t looking for anything to stick out and be noticeable. Thanks again for another winning post. Yes any actor I think should be given a certain degree of freedom in a role, but with the Doctor I think it should apply to an even greater extent. Tom Baker was never emotional the way 9 and 10 were. Yes he did ham it up, but that wad the point he never cried or broke down. He often would get hysterical over nonsensical things, but be quite cold over serious things. That helped to make him seem more alien like his emotions weren’t wired the same way as ours. I think Matt picked up on this as we often saw 11 react this way. Great post! And I couldn’t agree more! I love 11 and 12, and if you watch Matt Smith’s performance his mannerisms and facial expressions are borrowed from Patrick Troughton! When Matt Smith was cast as the Doctor he hadn’t watched any Doctor Who because he grew up during that weird time when Doctor Who was cancelled. When Matt was cast he watched a lot of Patrick Troughton episodes and you can tell he modeled 11 after The Second Doctor. Now I still love Tennant’s Tenth Doctor and consider him to be in my top 5 Doctors, but Matt Smith was better in my opinion. He really captured the essence of the Doctor and the way he could convey the old age of the Doctor was just phenomenal! Capaldi’s 12th Doctor is great because he channels a lot of the classic Doctors along with aspects of the modern Doctors. He has the gravitas that the Doctor needs that has been sorely missed. Not to say 11 or 10 didn’t have gravitas, they did, but it was different. Capaldi just can be so terrifying at times and I love how alien his Doctor is! I couldn’t agree more that the Doctor needs to always have that alien quality, and Eccelston and Tennant were definitely the most human of all the Doctors. I think 11’s absent minded-ness added to the alien quality of the Doctor, him not understanding the concept of flirting or when a girl was flirting with him and missing cues from other people haha. Capaldi’s Doctor is so strange, crazy, alien and silly just the way the Doctor should be! Glad you liked the post. Tennant is an excellent Doctor and an amazing guy. I was lucky enough to meet him and he really is the sweetest, kindest, just wonderful man you could ever hope to meet. However like I said I don’t think Russell could ever really write the Doctor as an alien character as well as Moffat. Russell was always planning to make the Doctor fall in love. In series 4 he was gonna have the Doctor fall in love with a woman named Penny, but when Catherine Tate proved available he just brought Donna back instead. Matt and Peter both benefit from being given more freedom and a head writer who gets the Doctor more. I agree that Matt definitely channeled the second Doctor. The famous Bowtie even comes from Troughton in Tomb of the Cybermen. Congratulations on meeting Tennant. In interviews, he always reads the way you describe. Smart, too. While I’m not sold on the Doctor needing to be monogamous in each regeneration, I definitely feel 10 fell in love (or almost) too often. I did like the awkward position he found himself in in School Reunion. Having an aged ex-companion run into his current companion, when both women had some kind of feelings for him, was a lot of fun. I would have liked the topic of companions being special to specific versions of the Doctor to have come up. Four was just a memory to 10. But then it got just a little too messy in Girl in the Fireplace. Rose was right on the other side of that wall! Romantic entanglements got pretty messed up in RTD’s time, though. Rose and Micky were more complicated than I think was properly explored. Thank you both for the continuing conversation. Good stuff. Yeah I agree Rose and Mickey just kind of got glossed over a bit too much for my liking. I wanted to know what happened in that alternate universe for instance to make them so estranged? You know, I actually really agree with this. Especially the fact that Ten and Nine feel like other heroes. Part of my love for the Doctor comes from the fact that he seems unlike any character in any other work; he’s an adventurer, he’s funny, he’s serious, he’s weird, he’s silly, he’s warmhearted, curmudgeonly, a champion of right, an out-of-the-box thinker, a massive universe shaking threat, etc. Not it say that Ten and Nine didn’t capture those facets, but the way they were written I sometimes felt like you could replace them with a number of other characters. That might possibly be because the Time War survivors guilt was such a heavy part of the characterization for both of them, and survivors guilt is a relatively common character trait. Ten in particular though was very much a classic “heartthrob adventure hero” type. For Eleven (and to a lesser extent Twelve) though, they are just utterly unmistakable. No other character could be exactly the way they are. It’s ironic, because what makes Nine and Ten unique amongst the Doctors is what makes them ubiquitous amongst other fictional characters. I also agree about Moffat’s having a better understanding of the Doctor than RTD did. For as bad as. I think Moff’s scripts can get, the one thing he never ever falters with is The Doctor’s character at a base level. 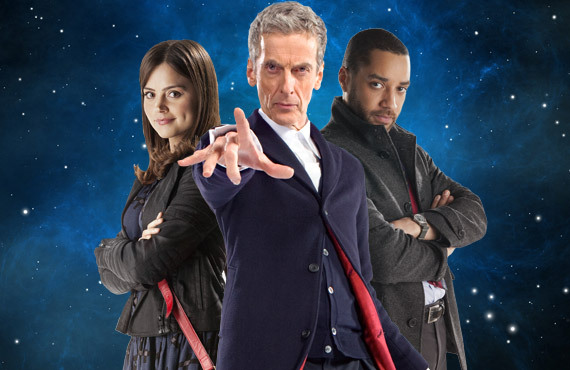 RTD’s doctors (even Eleven the one time he wrote for him) just feel…off, to me. They’re still the same great character in the end, but Russell’s vision of who The Doctor is as a person seems to contrast the classic series more than Moffat does. As for “ineptitude” I wouldn’t use that word to describe either Nine or Ten, brith a few possible exceptions that have more to do with the way the plots were constructed than they did with the characters. Nine, I agree, definitely didn’t have nearly as many awesome moments to his name as he deserved. Everyone brings the awesome epic speeches that a Moffat loves to write (you know, the kind we got in Flatline where everyone said THAT was the moment that cemented Capaldi as the Doctor for them). While I like those moments, I don’t think every Doctor needs them. When I think “Awesome Doctor Moments” I think the Doctor thinking on his feet, just doing something insanely clever in the moment. It can be a big moment, like Eleven taking the Silence down a peg in A Good Man Goes To War, or Seven tricking the Daleks into blowing up Askari, or Five crashing a ship to save Peri, but it can also be relatively little moments, like Twelve saving Mayzie and working out the deal with the Mummy, or Ten fending off Pyrovilles with a Water Pistol, or Two screwing with switches in Tomb of The Cyberman. Sadly, I don’t think None got nearly enough of these moments, big or small. A lot of episode just felt like they were going out of their way to keep him in an inactive position. He wasn’t inept, he just never got a chance to show off. Now onto costumes. 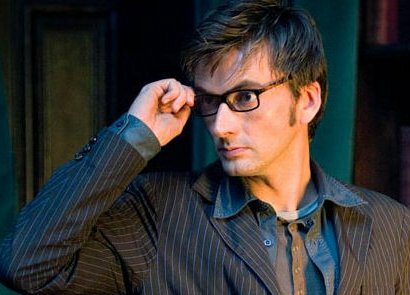 I actually really like Ten’s costume, though I agree that it does sort of stick out amongst the other Doctors. However, I think it stands out much less when he’s wearing his overcoat along with it. I don’t know what it is about me and overcoats, but those always just give me a vibe of “yeah, someone like the doctor would wear this giant coat just because.” That, and I think the suit bugs me less because. I look for different things in The Doctor’s outfit. I don’t so much look for it to be old fashioned, I just want it to be something that doesn’t look to casual. The reason 9’s outfit is lackluster to me (along with some of 12’s outfits) is that it looks like something you could see someone wear in the street and not bat an eye. Ten’s suit at least looks a tad more formal. Like, if you saw someone walking down the street wearing that, particularly with the coat and the shoes clashing so much, they’d at least catch your attention slightly. 9 and 12 just look like regular Joe’s too often. I can see why 10’s hair would bug people, but it never really bothered me. 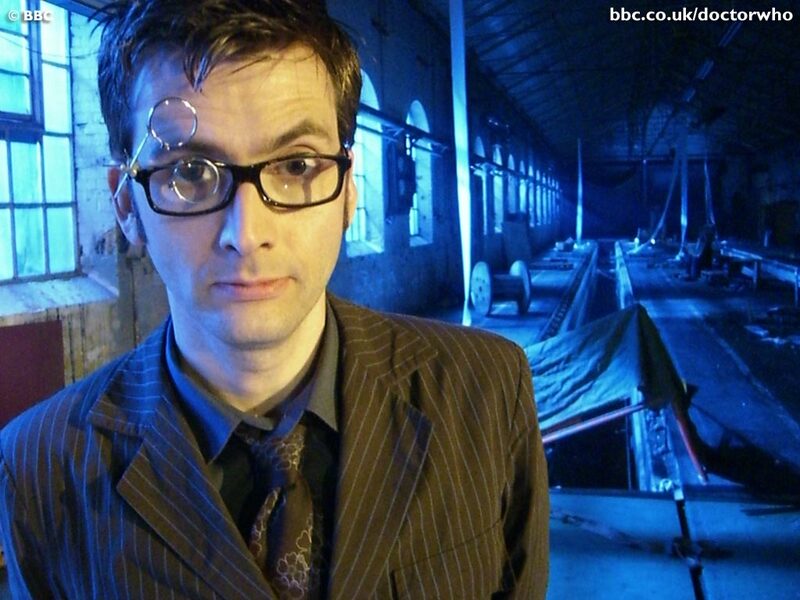 David Tennant’s natural hairstyle just doesn’t fit the character as well as the spikes do. Great comment yes I agree Moffat always writes a good Doctor. You know as well as anyone that I don’t much care for how he has taken the show recently, but his handeling of the Doctor is always superb. He just knows that character like the back of his hand. I agree 100%! That’s why 11 is my favourite 🙂 , and I know I am very partial to Victorian/Edwardian fashion but really it does suit The Doctor better than modern clothing. Yeah Eccelston’s coat is just not something the Doctor would wear its just too modern he is supposed to look like a man out of time. Lovely article, however I must admit it sounded a little like old material, coming from you 😛 I’ve heard you use these arguments MANY times before, down to the very Buffy references. Some to whom I don’t agree to. But who cares, it was well-written as always and it makes for some juicy debate. My fifty cents: I judge a/the Doctor purely on his own merits, not in the way he fits in the row with the other Docs. Imo. there should be no measureable guide lines as to how a Doctor should act, dress or behave. The Doctor is one of the most flexible character in fiction, as long as he works on his own that’s all that matters to me. 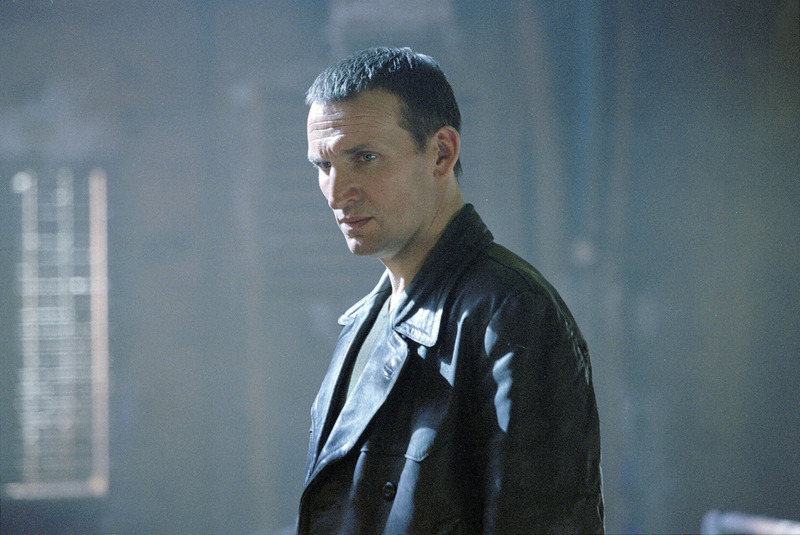 As you know I started Doctor Who with the Ninth Doctor, and while you arguments about the leather jacket and the short cut hair are perfectly sound they don’t bother me because it worked on him. Doctor Who should be about looking forward, not backwards.. there’s no need to carry unnecessary baggage. A new era means new possibilities, new ideas and new opportunities. If you’d limit the Doctor to one or two basic categories then I’m afraid it robs the character of its flexibility. I mean for argument’s sake look at how much the First Doctor and the Second Doctor differed from each other. Bad example I know since the whole concept of regeneration hadn’t even been thought through. But still, by any logic you should say: Look at how much Throughton didn’t look like THE Doctor. The Doctor should be well dressed, and his hair should be combed and stylish and he should have a certain amount of dignity”! Throughton wasn’t anything like that. now I DO agree that shouldn’t stray TOO far from what’s established about him, that’s true. 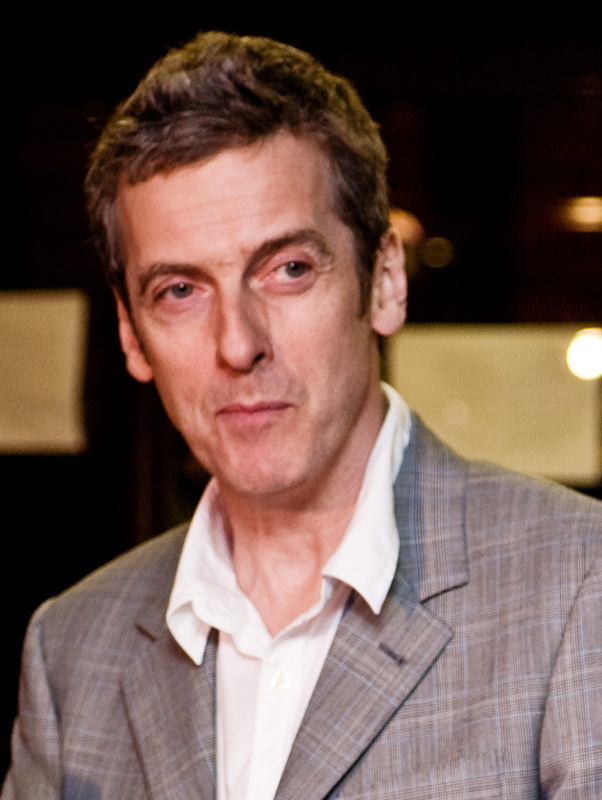 My favourite new Who Doctor, believe it or not, right now is actually the 12th Doctor. 10 is still MY Doctor somehow and he’ll always have that very special place in your heart. He actually dresses very ordinary in a lot of episodes, but it works on him. The other thing I also disagree on is that an actor’s freedom on the part decides the quality of the character. Not true imo. I’m pretty sure ( but correct me if you will ) that William Hartnell or Patrick Throughton never got to decide what clothes they’d be wearing or how they should be playing the part. Or Jon Pertwee or Tom Baker or even Peter Capaldi for that instance. They might have had influences on individual details such as the bow-tie or the long scarf, and they might decide on how they interpreted the character themselves, but such things are so minor I’d hardly say THAT’s what their Doctor’s so great. Yeah LOL I have raised these criticisms many times. 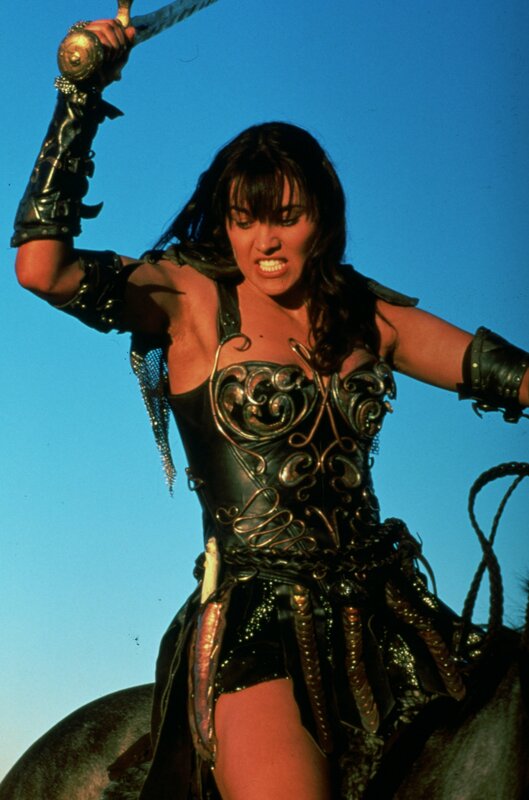 I remember people on IMDB were like “oh god he’s not gonna bring up Buffy and Xena comparisons again”. However this is a different audience. You and Keeksodoctor are the only two here from IMDB. I don’t think the 2nd and 1st Doctors were as different as 9 and 10 were from the others. Yes what you say is true, but the point is they still had the same old fashioned look. That’s the point the Doctor needs to look a bit old fashioned. He can’t look like a modern trendy guy, that’s not who he is. And Troughton was allowed to choose his costume and what type of Doctor he should be playing. Sydney Newman suggested the Cosmic Hobo idea, and Troughton approved. If he hadn’t liked it he wouldn’t have needed to play it that way. Jon Pertwee also picked out his costume too and again Tom approved the scarf. However it goes deeper than that. Like I said the first Doctor was just William Hartnell. Everything about Hartnell’s real personality was reflected in the Doctor. His grumpiness, his sweet affectionate nature, his arrogance, thinking he was better than everyone else. I mean you hear stories about him blowing up at people like the first Doctor screaming at Ian at the end of one story where he promises to dump him on the next stop. However you also hear stories of him bringing them presents to make up for blowing up at them, which again is obviously something you can imagine the first doctor doing. Then you hear stories about him being condescending to people. Like when he told some extra to follow his advice and he’ll have a career, and then when the extra did he told him he will have a career. Also look at that interview when he slates the Panto he is starring in and says he is a legitimate character actor who is better than this silly nonsense. That reminds me of so many 1st Doctor moments its not true! It reminds me of the bit in the Daleks Masterplan where he is so condescending to Sara Kingdom she feels like shooting him LOL. Or the bit where he is arrested and he tells them to take their hands off of him because he is a citizen of the universe and a gentleman to boot. 1 was Hartnell in every respect because he was given carte blanche to basically create the character and the writers followed his lead. 3 meanwhile was Jon Pertwee too. The writers indulged Pertwee even and gave him plenty of big car chases simply because he loved cars! 4 well again do I have to say why he is just Tom Baker? 11 is just Matt meanwhile. Apparently Matt has no personal space in real life. He kisses everyone, he grabs them by the cheek, he bobs them on the head and he has no attention span. People who interview him say trying to get him to sit down is a nightmare as he just can’t LOL. Obviously we can see all of this reflected in 11. Capaldi meanwhile isn’t like 12, however 12 does kind of fit the persona he has built up over the years of a grumpy, curmodgeonly old Scots git. He even said he was allowed to bring a lot of his persona into the character. However when you look at Eccelston it is not like that at all. He says 9 was just Russell T Davies. Apparently Russell always uses the word “Fantastic” and Russell even has that same black coat. Eccelston said he felt he was playing Russell. Thus whilst Eccelston was good and I still think 9 was a great Doctor. Certainly not a bad Doctor. I still don’t think that Eccelston really got a chance to become the Doctor like some of the others. With 10 meanwhile I do think Tennant was perhaps given more freedom. However even then I still think a bit too much of his character was decided by Davies. Got nothing against 10 either of course he is a great Doctor overall. Hmmm, still not entirely sure the actor’s freedom on the part makes up for quality. I’m all for giving the actor a say in how things should be done, especially when he doesn’t agree or feel like it. I definitely think Colin didn’t get nearly as much freedom as he should have. but I think it IS for the showrunner to decide how the character should act, not the actor. I thought Davies did extremely well with both 9 and 10. From a Doctor standpoint perhaps not, but from a character-wise point of view then I think’ yes. He created two ( or essentially just one ) conflicted, dark and very powerful character who went from A’ to B’. However, with Tennant’s popularity and RTD’s reputation as to how he relates with his actors and crew I’m almost certainly that by the end of Series 3 Tennant would have almost a full say in what should and could happen. I just think he reached that particular stage of popularity that he could demands/ I never got the sense that he disliked the Tenth Doctor’s outfit or the way he was written. To be very honest I don’t think Tom Baker’s first outfit matched much with the first 3 Doctors. I like to think that with each regeneration the Doctor truly becomes a new, different person. I think it goes much, much MUCH deeper then just a cosmetic make-over with a few personality tweaks. It think it almost goes beyond to what us humans would understand. If I truly had to give it a definition I would compare to Avatar: The Last Airbender. Each Avatar is essentially the same person reborn, and yet it isn’t as simple as them being literally the same Joe every single time. They are both connected and yet very much separated in a way. To take for example the very first Doctor where it all began, and the Twelfth Doctor where the character is at the very present. The First Doctor and the Twelfth still are the same timelord that ran away from Gallifrey, the first Doctor’s mum is still the Twelfth Doctor’s mum. Susan is as much the First Doctor’s Granddaughter as she is the Twelfth Doctor, and the Twelfth Doctor’s memories are still his history. But the Twelfth Doctor Isn’t the First Doctor. he is a different and a new man, even if they are the same man. Now I’m not saying this is per definition true 😛 just how I like to interpreted basing on dialogue since the earliest multi-Doctor stories and off course Ten’s infamous in TEoT about “death”. Different Doctor incarnation never treat each other like simple early or later version of themselves, they compete, they argue ect. So wanted to get across since every single incarnation by definition a different person I don’t mind the fact that one might dress entirely opposite from the other. now what I DO agree on is the fact that 9 and 10 displayed human emotions a lot more then either the classic versions or the current Moffat incarnation, and as a old-school fan I can see why this would feel out-of-place or even annoying. Personally, since I started with 9 going straight to 10 they didn’t bother at all. In fact, it was the deep range of emotions that their Doctors ( especially 10 ) showcased that made me love the character and the show itself. I prefer an older Doctor over a younger myself. 11/Matt despite being wha..? 31 still had the look of a 25 year old. I never saw him as a ‘man’ the way I do with Eccleston, Tennant or Capaldi. Now this sounds perhaps as harsh criticism but it all comes down to a personal level. I know many people endorsed 11’s childish nature and often silly behaviour. To me it almost came to a point where the Doctor become a comedy character and one I really couldn’t take a 100% seriously. Back in Series 5 much of 11’s dialogue was written straight, it was merely Matt’s comedic talent that made the 11th Doctor naturally funny. However, once we get to Matt’s last season, it became quite the reverse with 11’s dialogue being written as all comedic with Matt’s acting chops giving hints of a serious nature. And it wasn’t just the writers to blame, as much as I love Matt and loved 11 whenever he was on screen, in the end he was playing the character for laughs. Sometimes when Matt was acting you could almost hear a laughing track intended in the background. Just for fun, pick any random story from Series 7, just any one you like or dislike and you’ll notice how many times you can play a laugh track with 11 on screen. I don’t mind a upbeat or even funny Doctor, I thought Tom Baker or Patrick Throughton pulled this sort of Doctor off perfectly’ and Matt IS hilarious and DID nail the Doctor’s alien nature. However towards the end of his run the writers/Moffat had become too much swept away with the ‘this will made the audience laugh’ style and made the character feel more like one from a kid’s show. Capaldi in this case has restored a LOT of dignity in the role, one that I can finally take serious again. No more Doctor jumping out of the TARDIS singing “I’ve got a golden ticket, I’ve got a golden ticked, time for the spacey-zoomer!” or ” I smell gas, is that gas -makes silly sniffing face- could be gas ” when an Ice Warrior is standing right behind him.